I'm having two laptops with me. One is working perfectly fine. But there's issue in seconds one.. Whenever, I try to access ovh.com in my chrome browser, it shows "
In Chrome, get the certificate of the OVH webserver. 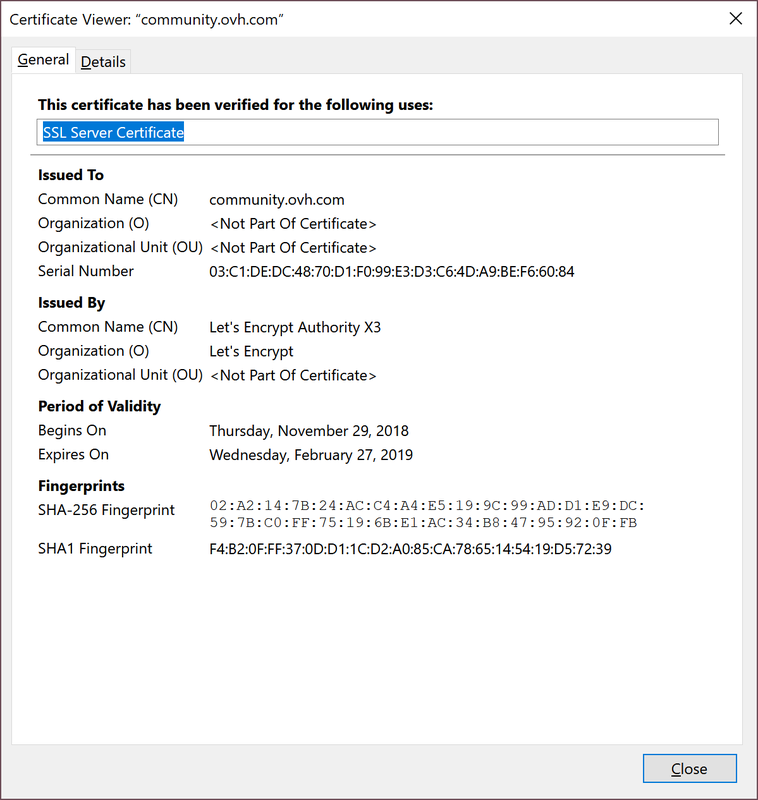 If the certificate is not from OVH, then there is a middleman which can be harmful, and listening to your conversation (e.g. a virus / troyan / spyware but could also be an antivirus - you know what you installed on that PC, not me) -- here is an example from this web site -- genuine certificate. The same image I can view in one of my laptop while other is not showing. Is it due to virus? How to remove it. Kindly suggest any software that would work perfectly. Update - The issue is finally fixed. I searched on Google & tried some more guides & this one fixed my issue.